4 weeks of instruction in only 3 weeks! Meets Nov 28, Dec 4, 5, 12. No previous experience with clay is necessary! 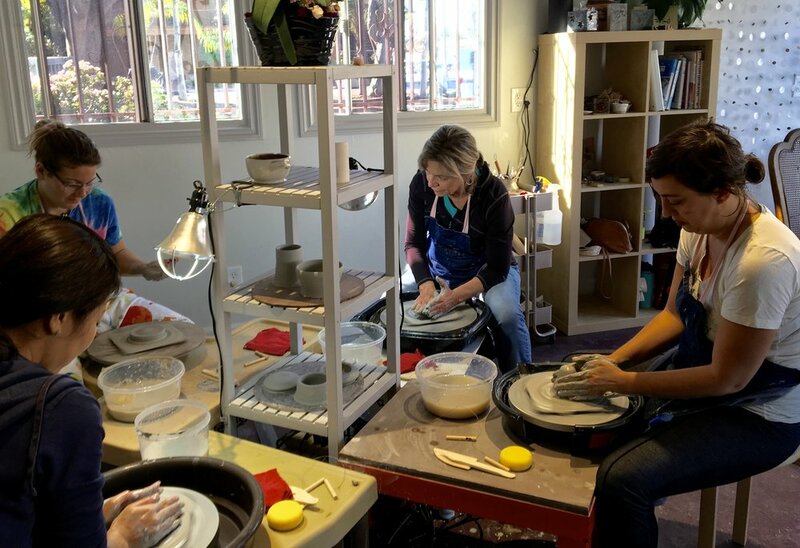 This 4-session class combines basics of hand building and wheel-thrown pottery. First-time students receive a pottery toolkit, 5lbs of clay, and signature Mud Lily tote. Returning students can purchase clay at checkout. Price includes glaze and firing for up to two pieces for all students. Ages 18+ Click here to register and pay.